Summer is coming, I can feel it! Summer here can be overwhelmingly hot, and I love to wear light and loose clothing, and especially loose around the neck to keep me cool and feel the warm Caribbean breeze on my skin. This light and breezy blouse pattern is perfect for the warmer weather. Make it in a very nice fabric for a special outdoor dinner, overlooking the sea. Or just make it light and casual for everyday or even as a light and loose beach cover up. As with so many clothes, it all depends on the fabric you choose. Wow, the pattern testing team picked out some great fabrics for this blouse. I'm loving how cool and elegant they all look. 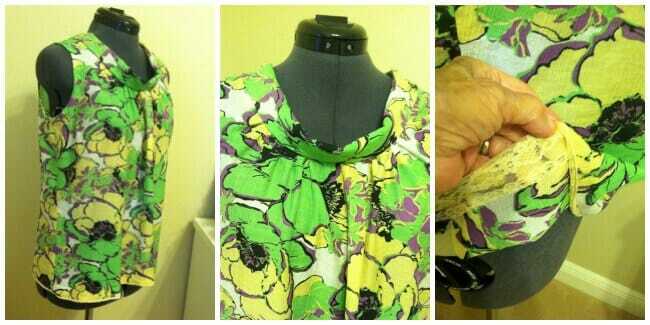 You can really see the shape of the blouse and much more detail about the neckline and the gathers in some of these. 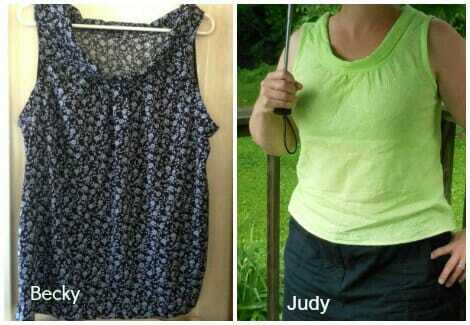 Wish I had easy access to such great fabrics – thank you to everyone who took the time to test and review this pattern. Elizabeth – I liked very much how the blouse draped the body and the roll neck. 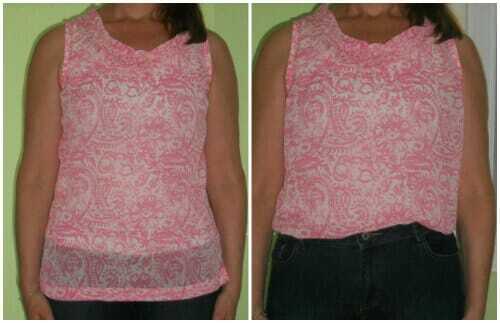 There are many ways this blouse could be altered to make the neckline higher or lower. Since I am short, 5′, I cut the petite length, however, after trying it on I decided I like the longer length on me so I faced the hem with some heirloom lace I have. It looks very nice and gives it a vintage look. By the way, I cut the smallest size and I used regular seams. A friend stopped by after I finished the top and wants me to make her one! Emma– I wasn't sure about the neckline, and how it sat, but now it's made it works really well and I really like it. I notched the centre front and centre back necks for the attachment of the collar. I wear a UK Size 10 and made your smallest size. It fits lovely, but my only comment is that the armholes could be lowered slightly. When I make it again I'll adjust them a bit lower by about 2cm. My fabric is a synthetic lightweight knit, and drapes beautifully. On a woven, I suggest that the neckline piece is cut on the bias. Becky – I like the look of the shirt in general. I've done French seams once before but now I “get it,” as to how and why. Nice finish for the seams! It's very cute! Judy at Stoney Lonesome Sew Works – Yes! Simple pieces, really liked the design. Thought of several pattern hacks right away! Love your videos Deby. They are always very easy to follow. Very helpful. I got a little confused on how to do french seams at the arm holes and neckline but was really happy to learn this technique in those areas. Diane – Loved the look for summer. It's very elegant but still easy to sew! I was afraid to cut the smallest size so followed the next size line. It was wider than I thought it would be so sewed a bigger side seam. It's still quite loose but I'll wear it anyway. Next time, though, I'll cut the smallest size. Love this top and can't wait for the skirt from your upcoming preview. Robin at The Pattern Tester – I am more of a beginning sewer, and felt like it was something that I could do make. I really like the shape of the blouse, and the materials that can be used with it. I love the videos. I am a visual learner, so the video really helped. I wasn't sure how to put the bias tape around the sleeve openings, but the video made it clear. Jemma – I liked the simplicity of it, the shape and the interesting neckline. Linda – I loved the pattern when I first saw it. It looked easy and it had style. 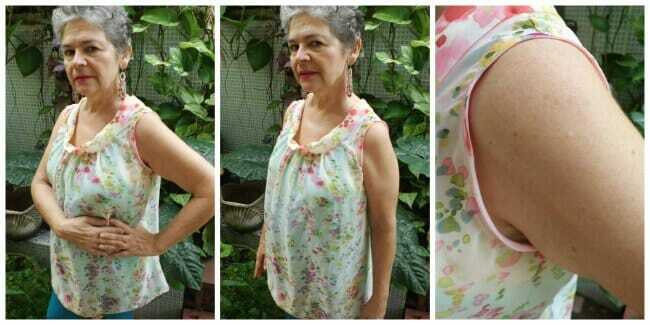 Nice summery top that can be used in different way. With jeans or with a nice skirt or under a nice jacket for work. 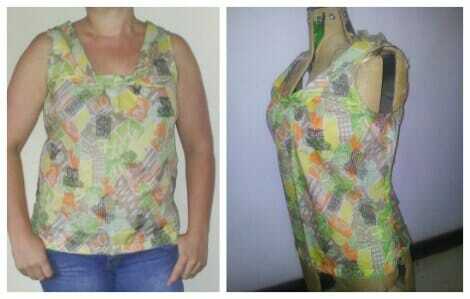 I will get a lot of wear from my top this summer and planning to make more. Theresa from the DIY Page – It looked like the perfect blouse to wear under a blazer for work. I don't wear blazers or work anymore, but if I did I'd want a bunch of them. I really liked the collar. 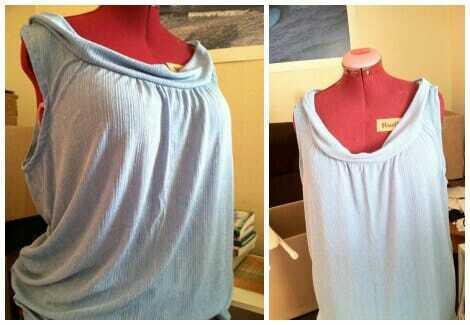 I love my new Easy Breezy tunic (I made the regular size and put in a baby hem). Sonja – easy…I was excited to get started. The fabric I choose is picky against the skin so I didn't like that. I was also excited because I know how to sew french seams. I did read the suggested tutorials off “So Sew Easy” website. Yes, they did help. In the end, it came out too big for me, but I think my Mother will wear it. 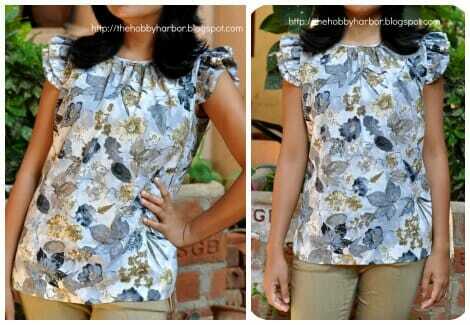 You can buy and download the pattern and instructions for the Easy Breezy Blouse from my design account at Craftsy. It's a PDF file containing both instructions and pattern pieces all in the same file. Enjoy! If you like this pattern, you may like some of my other sewing patterns. Like them all or several? 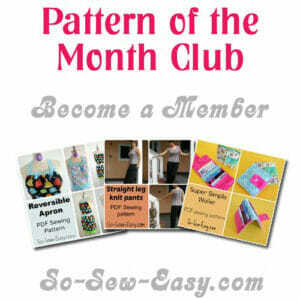 Then consider signing up to the 2014 Pattern of the Month Club and get 15 patterns for a very special price. I’m so sorry, if I bothered you. My son helped me and now I have the pattern! Thank you so so much! Thank you for the pattern, but I can’t open it. It’s a pity. I’d try later another time. I take it into my patterns the day that you offer that for free and don’t have had problems before. Thanks for your generosity! Thank you so much for making this available to us for free. I just downloaded it. 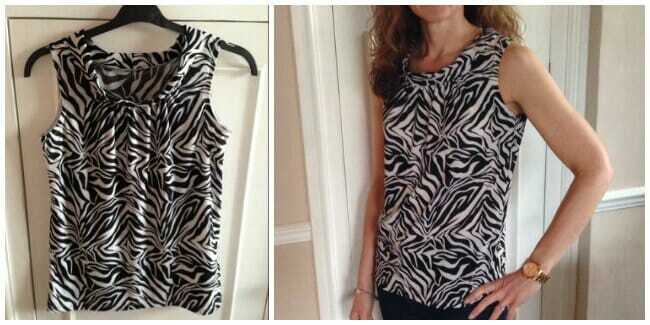 I think I have the RTW version of this top. I’m a beginner, so it will be fun to put this in my project list! I hope it turns out well for you brooke. Its a nice easy one to start with. Just pick your fabric carefully and it should be a success. I know! She has a really good eye for adapting patterns to her style and awesome sewing skills. I love all your patterns. I have made a few of them. If you get a chance, we’d love to see what you make. Do send me a photo or two and I can share on the Facebook page. Glad to hear you find some of my patterns right for you.